This one's bound to win a major award! The highly anticipated live TV presentation of the Tony-nominated musical A Christmas Story will air on December 17 on Fox. 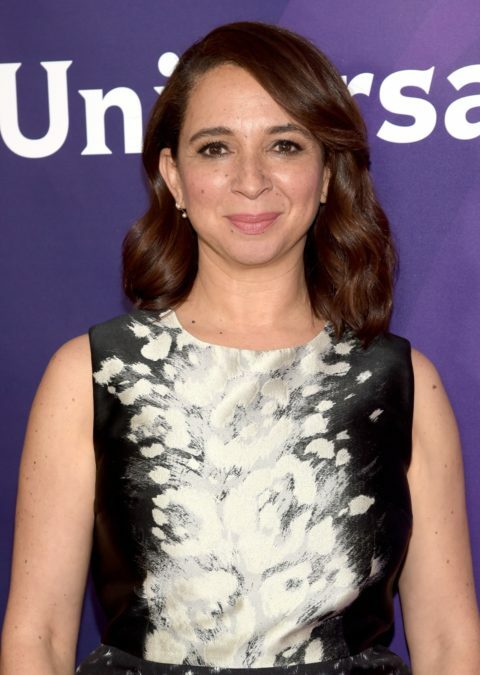 SNL Emmy nominee Maya Rudolph has been announced to play the mom of Ralphie Parker. The previously announced live production is inspired by both the beloved 1983 film and the 2012 Broadway musical. Dear Evan Hansen's Tony-nominated music duo Benj Pasek and Justin Paul (who received 2013 Tony noms for A Christmas Story's score) will write several new songs for the broadcast. Grease: Live's Jonathan Tolins and Robert Cary are set to adapt the book. A Christmas Story was nominated for three Tony Awards, including Best Musical, Best Original Score and Best Book of a Musical. The tuner was based on the motion picture A Christmas Story, written by Jean Shepherd, Leigh Brown and Bob Clark, and the novel In God We Trust: All Others Pay Cash by Jean Shepherd. The story focuses on a young boy, Ralphie, who is determined to persuade his parents that a BB gun is truly the perfect Christmas gift. The now-classic feature film, which became a sleeper hit, has since taken on a new life, along with growing critical acclaim, to become a perennial holiday favorite beloved by families and kids of all ages. Rudolph plays the Christmas Story role that was originated on Broadway by Erin Dilly. Rudolph is an Emmy nominee for her long-running stint on Saturday Night Live. Her other screen roles include The Grinder, Maya & Marty and Bridesmaids. Additional casting and creative team members for Fox's A Christmas Story will be announced at a later date.